If you are an Android user, then you must be aware of the apps which provide free recharges by just completing surveys, watching ads, playing games or downloading apps. 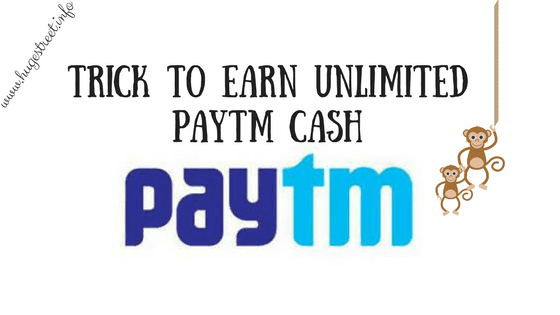 But in this tutorial, I will show you some simple ways to earn PayTm wallet cash quickly which you can use to recharge the phone, paying bills, online shoppings in India, etc. This trick is applicable for both new users and old users. 6. Clicking Ads and completing surveys. 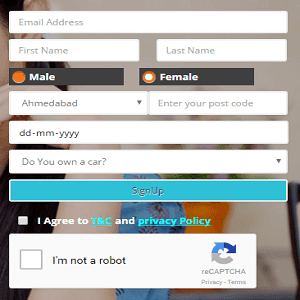 How To Earn PayTm Cash By Using Panel Station? 1. First of all, sign up on panel station. 2. Fill up all the required fields as shown in the above image. Note: You must be at least 18 years or more to join panel station. 3. You need to provide your original email address because panel station will send you a verification email to verify your identity. 4. When your registaruion completed then they will send your login password to your registered email address. 5. Now you can login to your account. 6. And then participates in various surveys on the dashboard to earn real cash. 7. You will get 1200 points (i.e. rs 120) instantly on completing your profile. How to redeem panel station points? You can redeem your points in amazon vouchers, flipkart vouchers, PayTm Cash and much more. The minimum redemption point is 3000 points that means you can only redeem your points when your unredeemed points reaches to 3000. How to earn free PayTm cash by downloading apps? Step 1: Download Any of the above apps. Step 2: After open the app, complete the offer provided by the apps. Step 3: You can also refer your friend to earn more real wallet PayTm cash. You can earn up to Rs. 20 per referral. Step 4: When you earned a minimum amount of balance. Then you can easily transfer unpaid earnings to your PayTm wallet. You can also use your wallet cash to recharge your phone, online shopping, etc. I hope that the above step by step tutorial will help you to earn real wallet cash of paytm. If you have any doubt regarding the above guide. You can comment below or contact us here.